Use the visual guides below to asses your best fit. Most of our shirts have a “Standard” fit. Not too snug, not too loose. 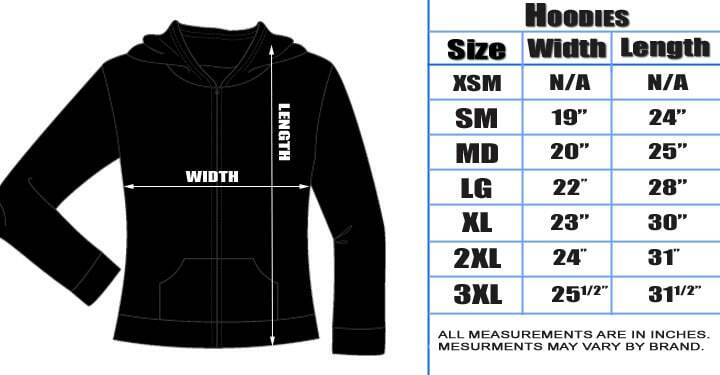 If you are between sizes or enjoy a looser fit, we recommend ordering up a size. 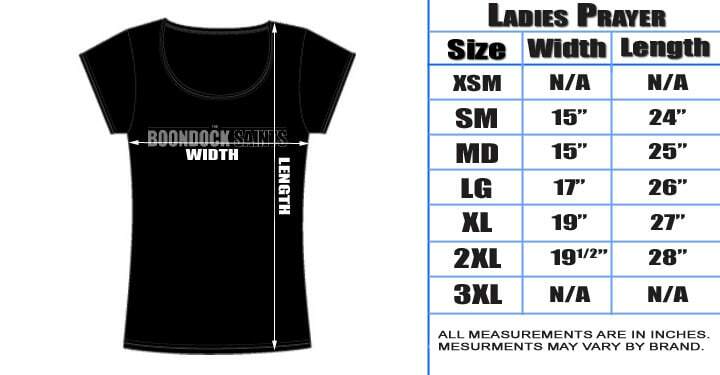 Ladies Tees are slim fit. 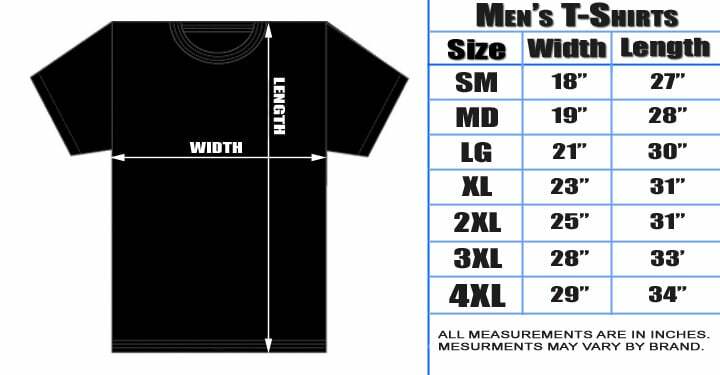 Note: Most of our shirts are printed on Hanes Comfortsoft 100% Cotton so they will more than likely shrink when you wash them. Some of our shirts are printed on softer Startee’s which is a Cotton/Poly blend and may not shrink as much. The best bet is to order what size you usually wear, we’re sure you’ll be happy. And as always, exchanges on tees are gladly accepted if sizes don’t fit.